The Bernard M. Gordon-MIT Engineering Leadership Program (GEL) was established to educate and develop the character of outstanding MIT students as potential future leaders in the world of engineering practice and development and to endeavor to transform engineering leadership in the nation, thereby significantly increasing product development capability. complements MIT’s world-class technical education by developing the leadership skills students need to effectively lead engineering teams and endeavors, and to shape the future. 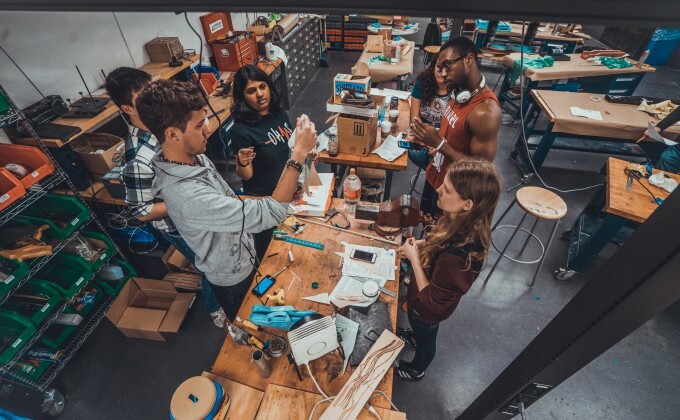 Industry partners can host an intern, sponsor, and actively participate in engineering leadership labs, donate, or volunteer. Students engage with and learn from GEL Program leadership development experts and engineering leader mentors, role-players, and industry guest participants. UPOP is a yearlong professional development program that prepares sophomores — regardless of major — to thrive in their careers. The Comm Lab is a discipline-specific peer-coaching program for MIT’s School of Engineering that helps graduate students with their scientific writing, speaking, and visual design.